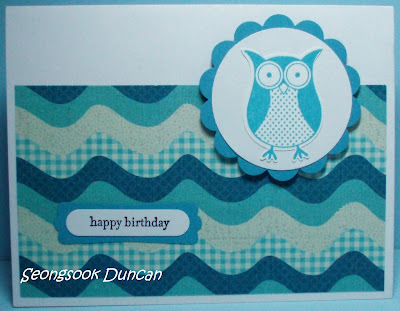 One of the most important principles of design, emphasis, is fortunately also one of the easiest to master. Emphasis can best be described as creating a focal point or a center of interest. 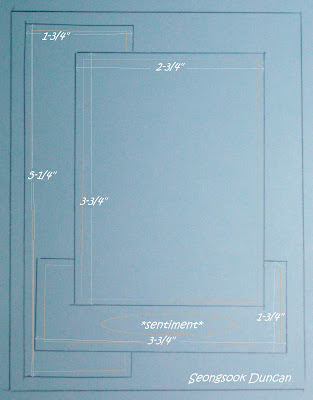 It is the most important area compared to the rest of your composition. 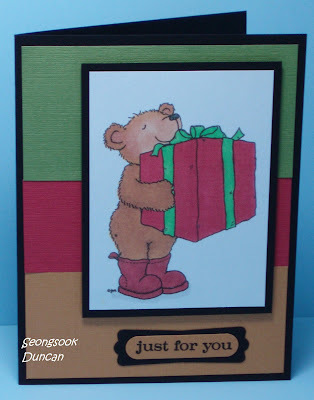 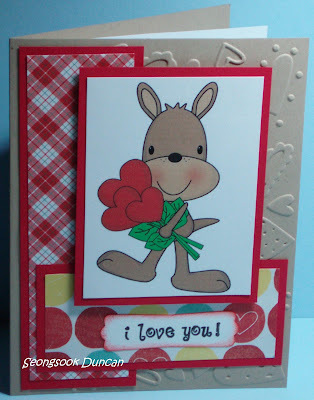 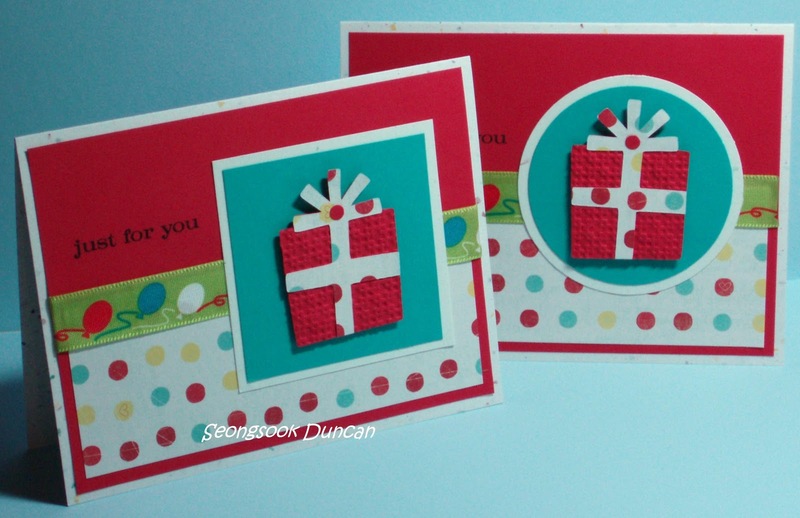 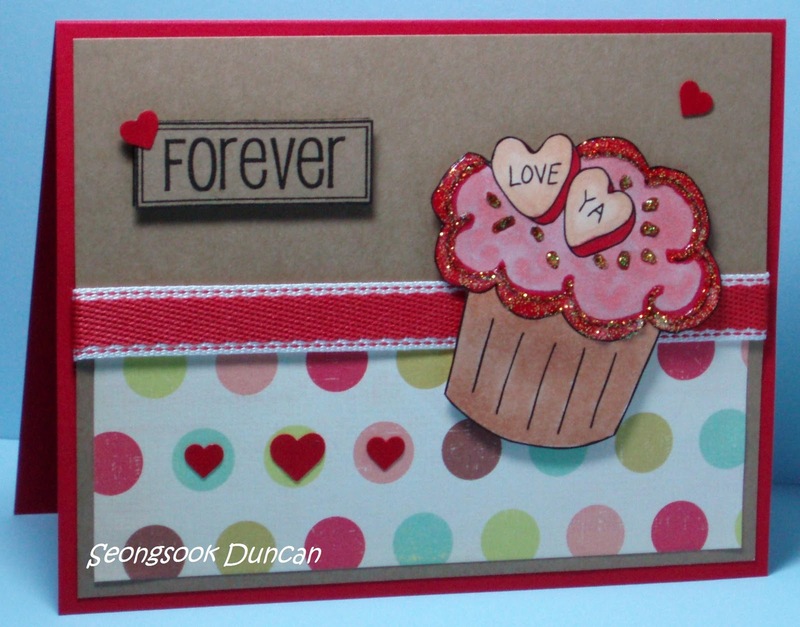 A focal point is the part of the card that catches the recipient’s eye first. 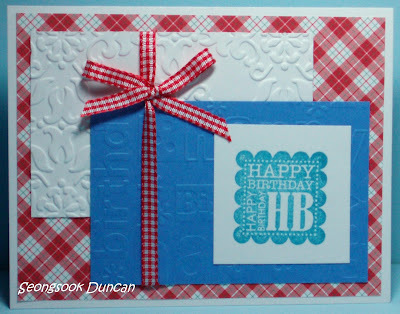 The stronger your focal point is the better your final card design will turn out, so planning ahead can have a big payoff. There are many ways to create a focal point including placement, contrast and color. 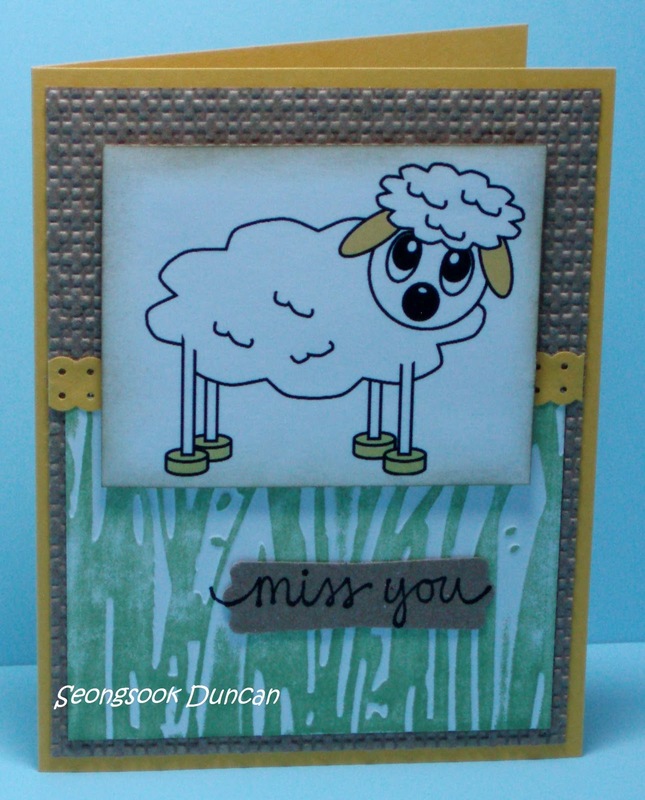 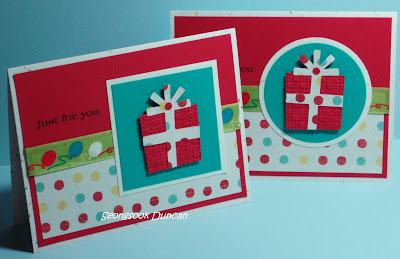 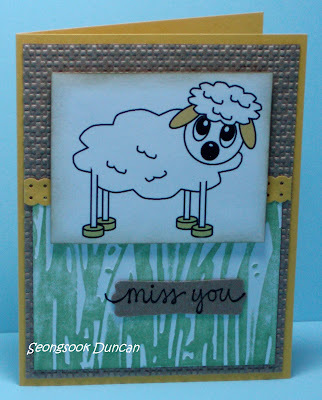 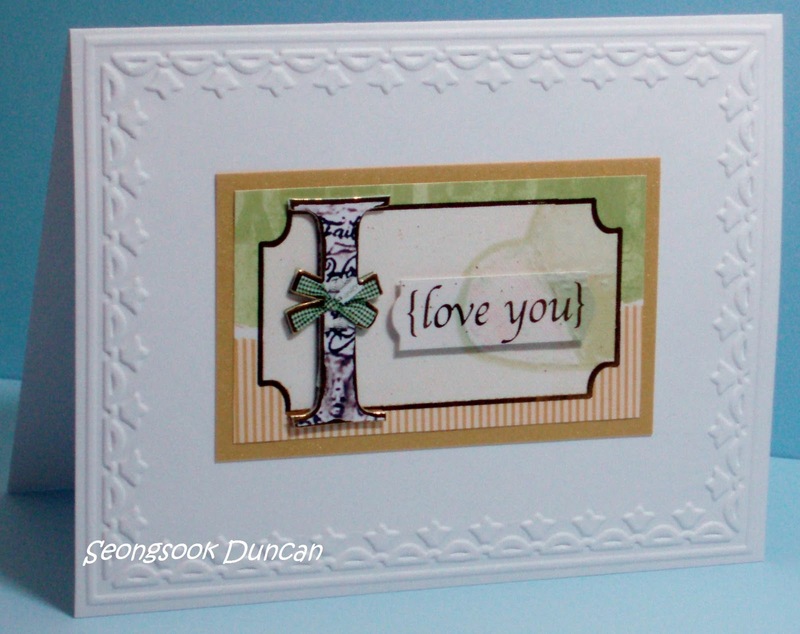 The focal point can be placed in the center of the card, or off-set to one side. 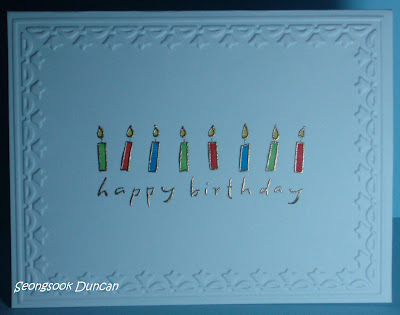 It’s typically the largest element on the card. 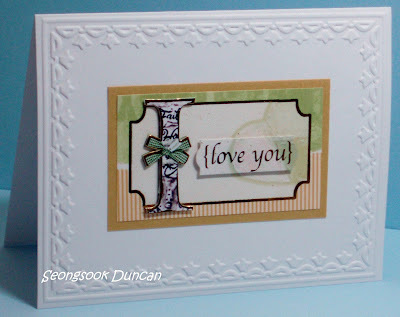 It is often an image, but it could also be the sentiment or even an embellishment like a silk flower or a tag. 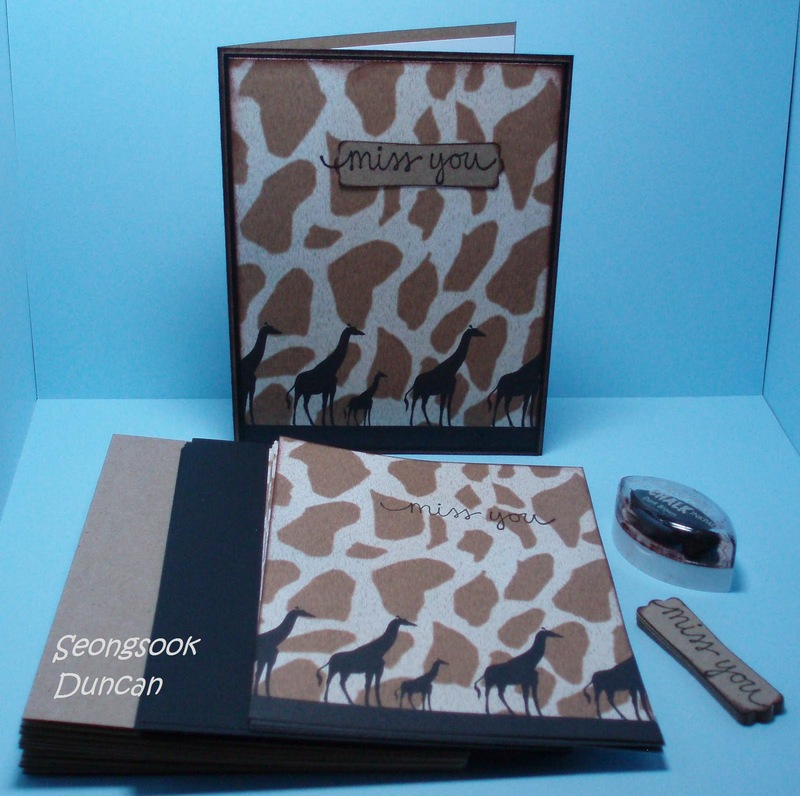 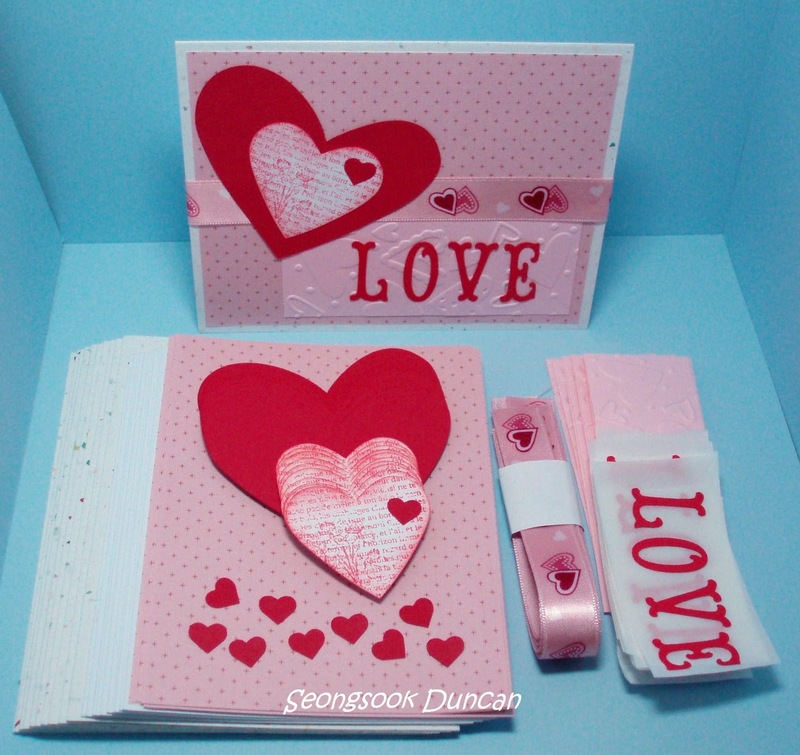 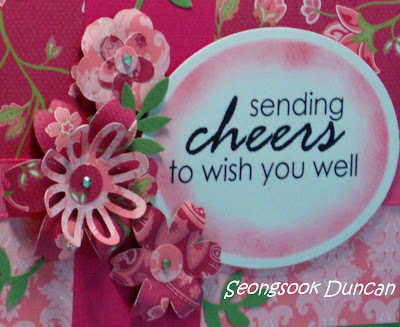 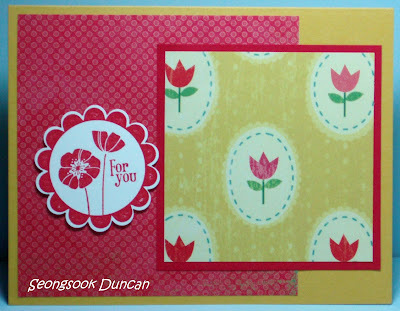 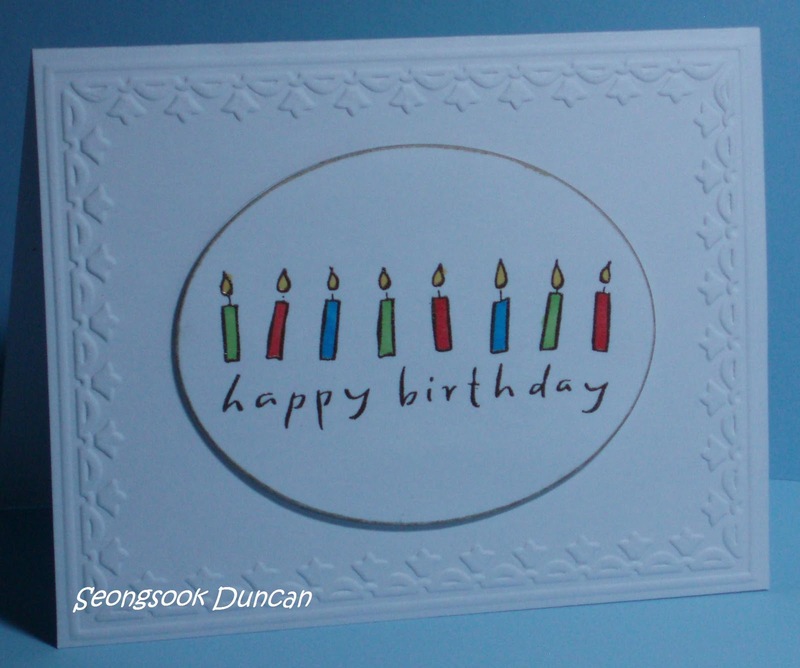 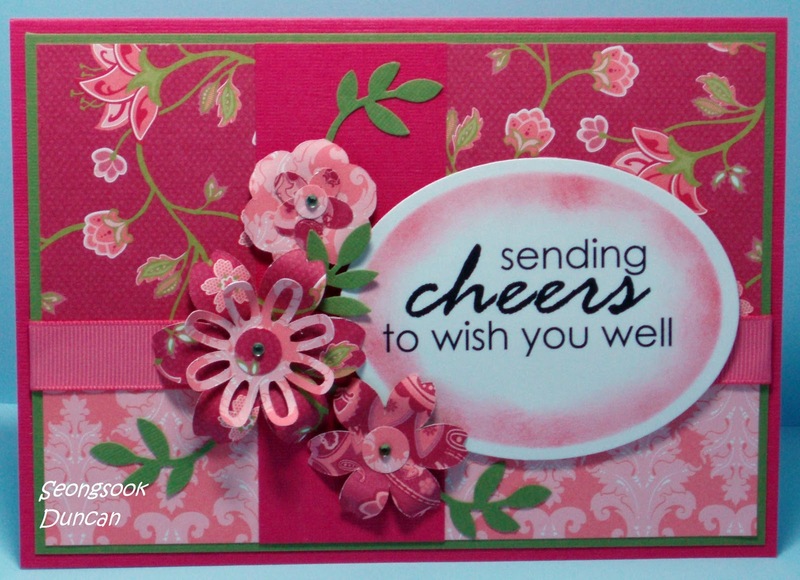 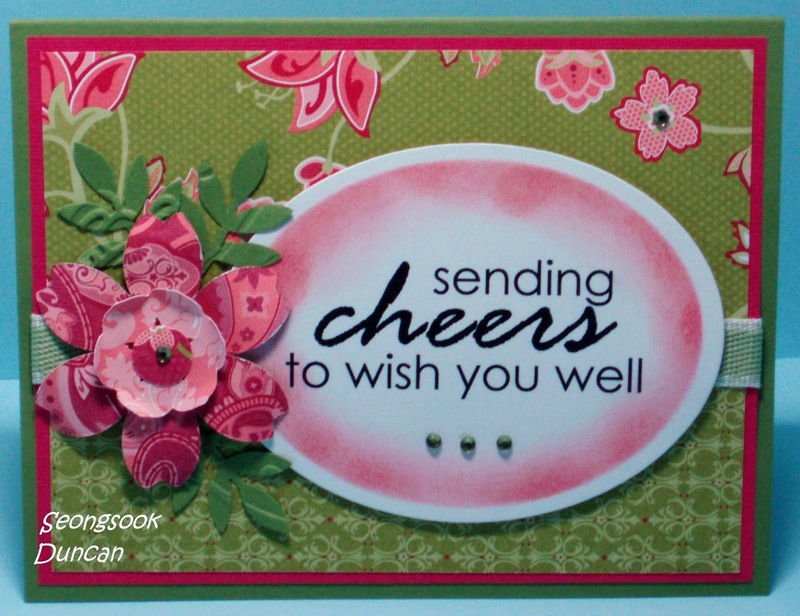 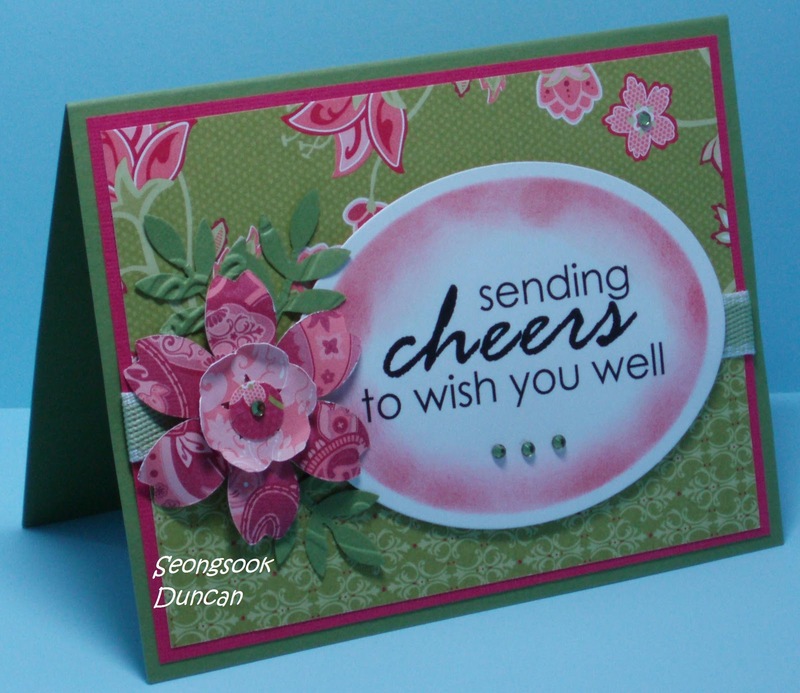 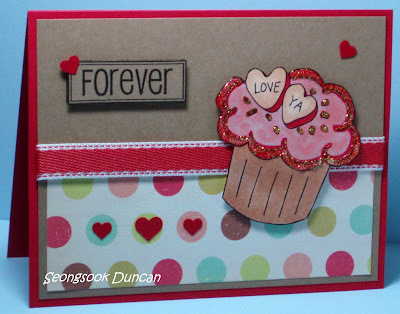 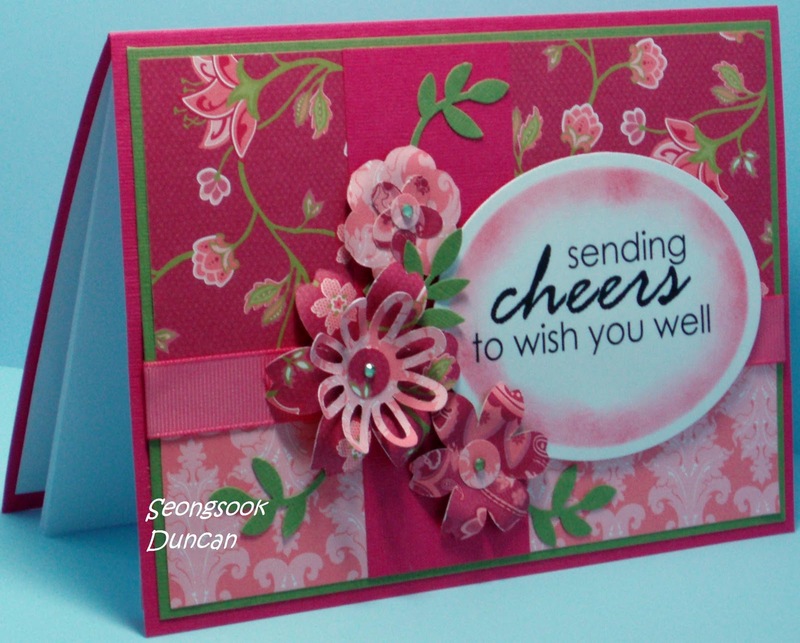 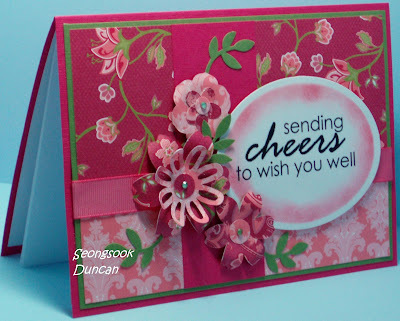 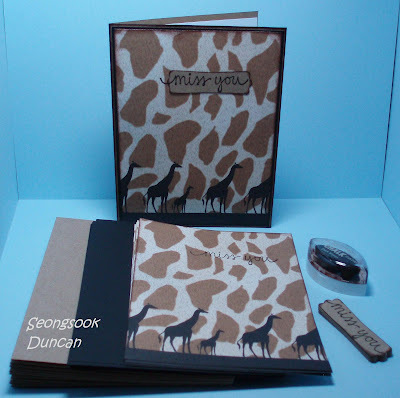 In some designs a focal point can also be a special element or technique, like a unique fold or a die-cut window in the card front. 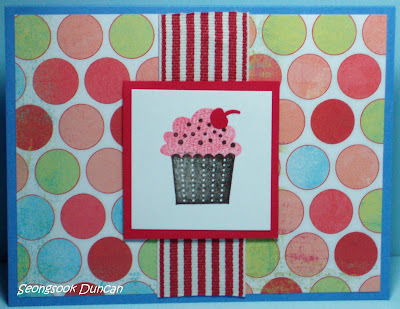 Your focal point can consist of one image or embellishment, or you can create a focal point that consists of several smaller elements grouped together. 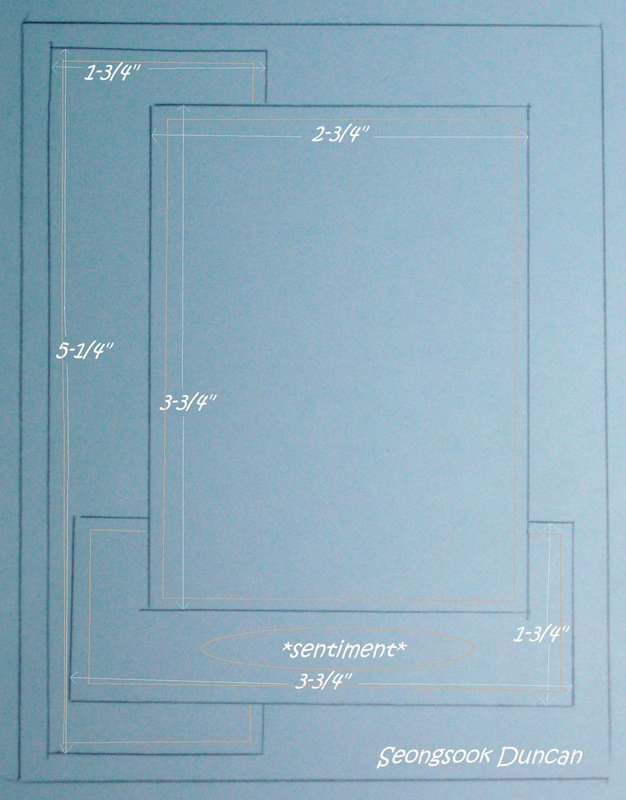 When your design contains a number of elements, often one of the easiest ways to strengthen it is to bring them together so that they form a single focal point. 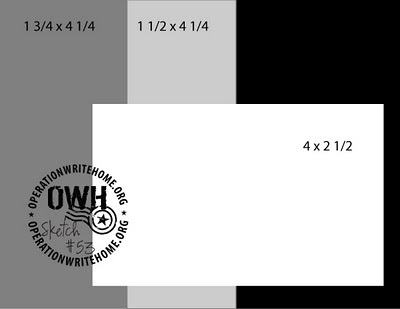 A simple tip to commit to memory when creating a focal point from several elements is to use uneven numbers. Choose 3 or 5 as opposed to 2 or 4. 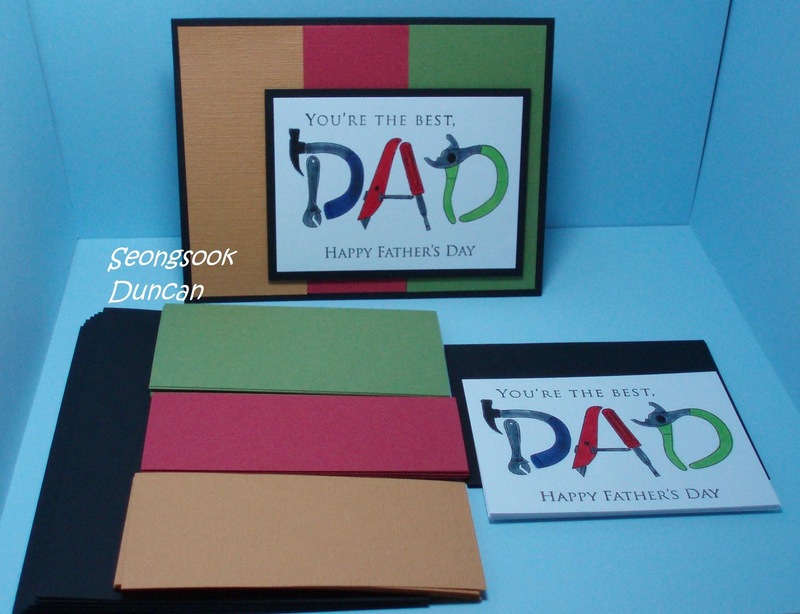 Group the items close together or even overlapping so they easily create a single unit. Although they can be, the items don’t have to be the same. 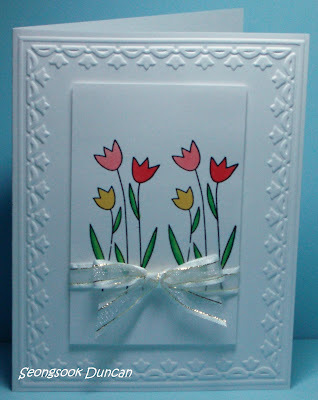 You might create your focal point by grouping together three flowers of varying size or color or you could combine a tag, with a flower and a bow. Yes, It is 12"x12" sized patterned paper. 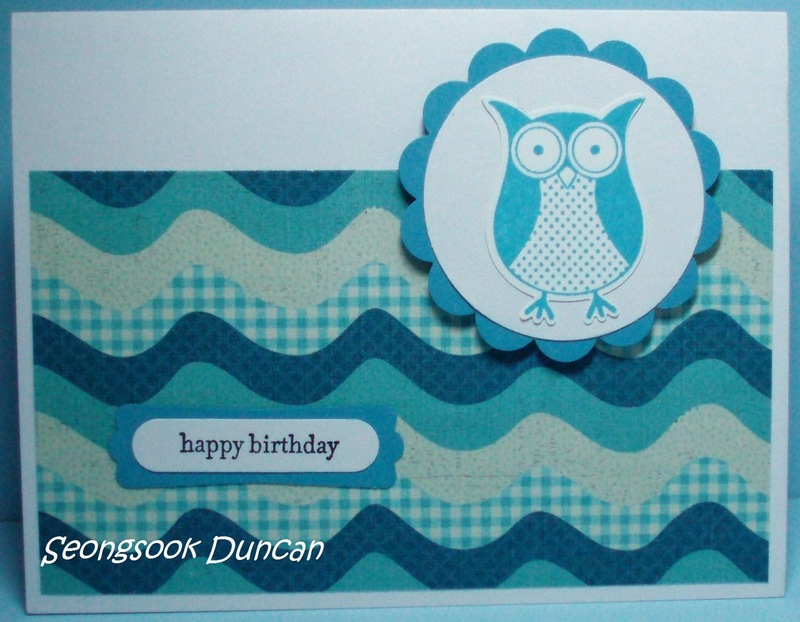 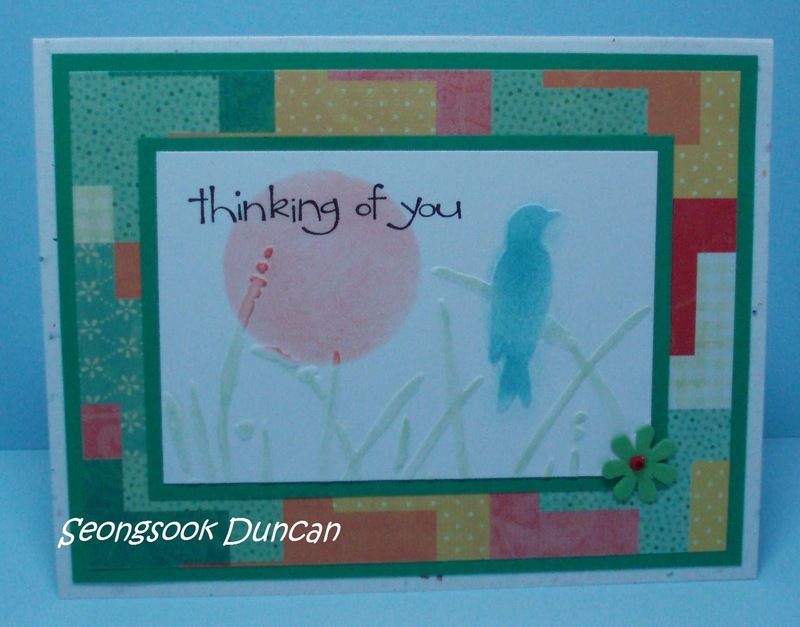 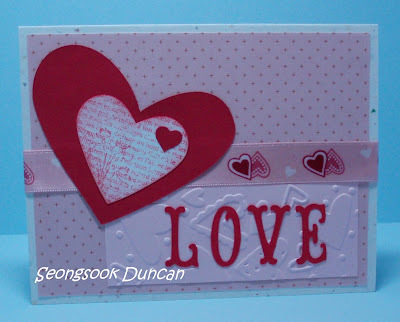 I cut out the bottom part of it into 4"x5-1/2"to make three cards. 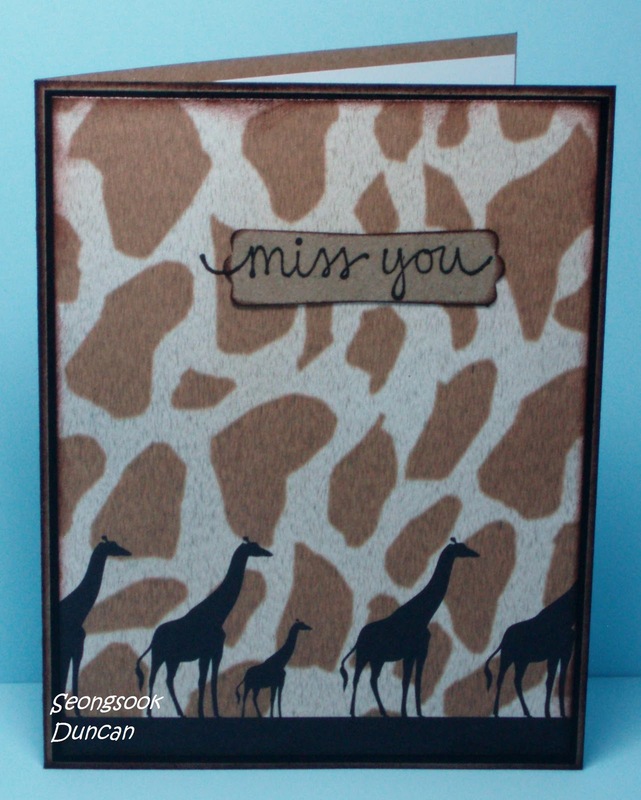 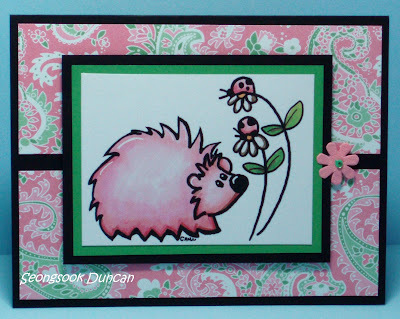 The black cardstock mat is 4-1/8"x5-1/4" cut to make a narrower border. I chalk inked all the edges with Dark Brown Chalk Ink. It was a busy day. There are lot to share but I will write details later. Hopefully the photos are self explanatory. 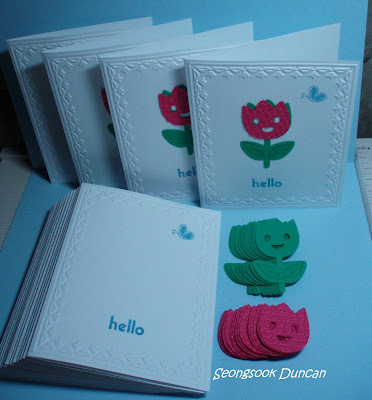 While I was going through some of my stash, I found a set of 3D stickers. 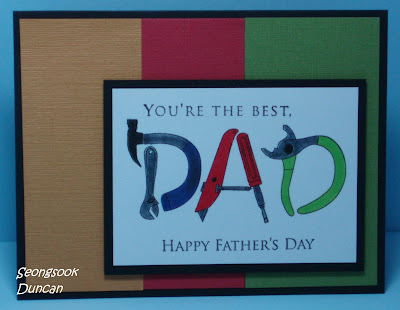 This one was perfect. I added adhesive to the back of sticker to ensure that it will stick well onto the golden shimmery cardstock. 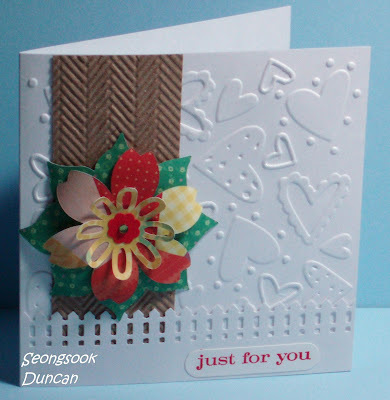 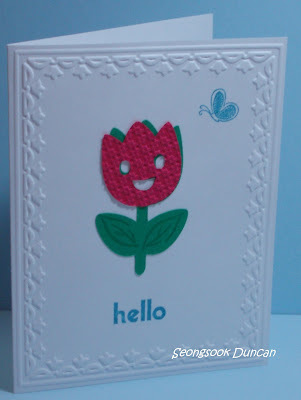 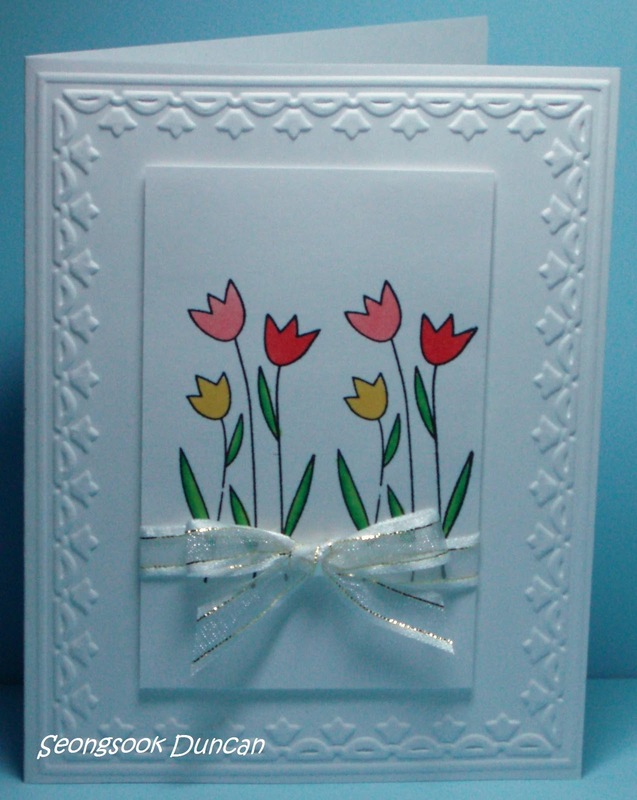 I think it looks very nice on the top of this Tulip border embossed cardbase in white again. 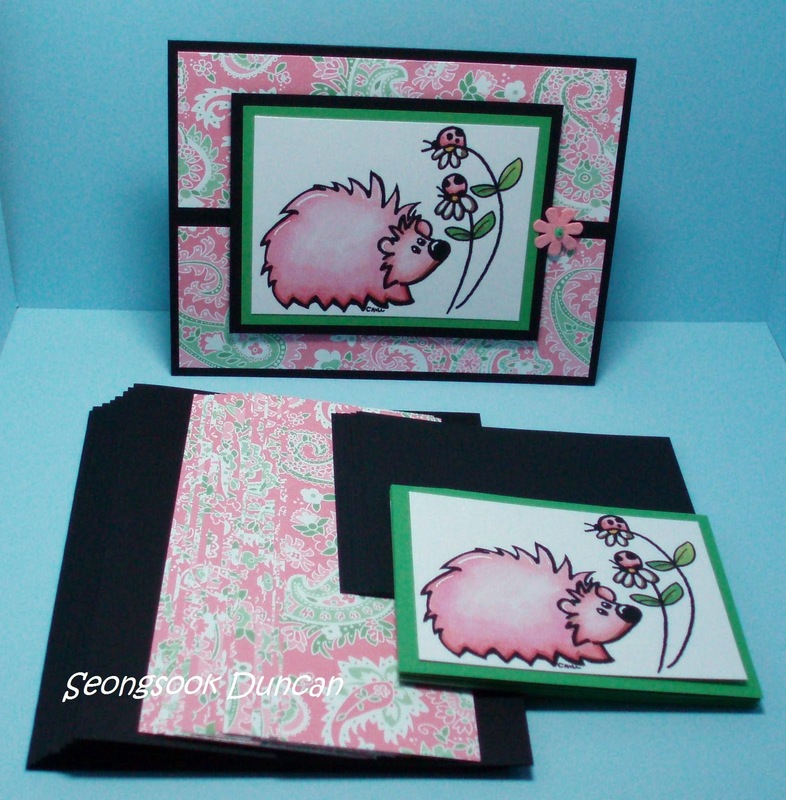 Whew.... completed these sample cards for Cardmaking Class at work tomorrow including all the card kits for 16 people. 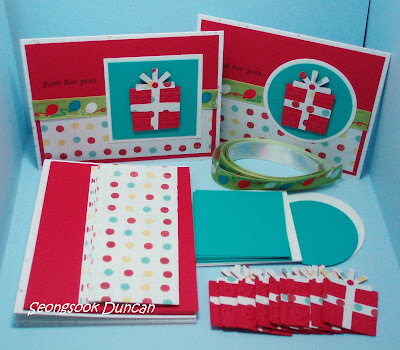 I did the most part of preparation: planning, designing, cutting, punching, dry embossing, heat embossing, stamping, coloring, etc.. Hope they can make them all during one hour lunch time. 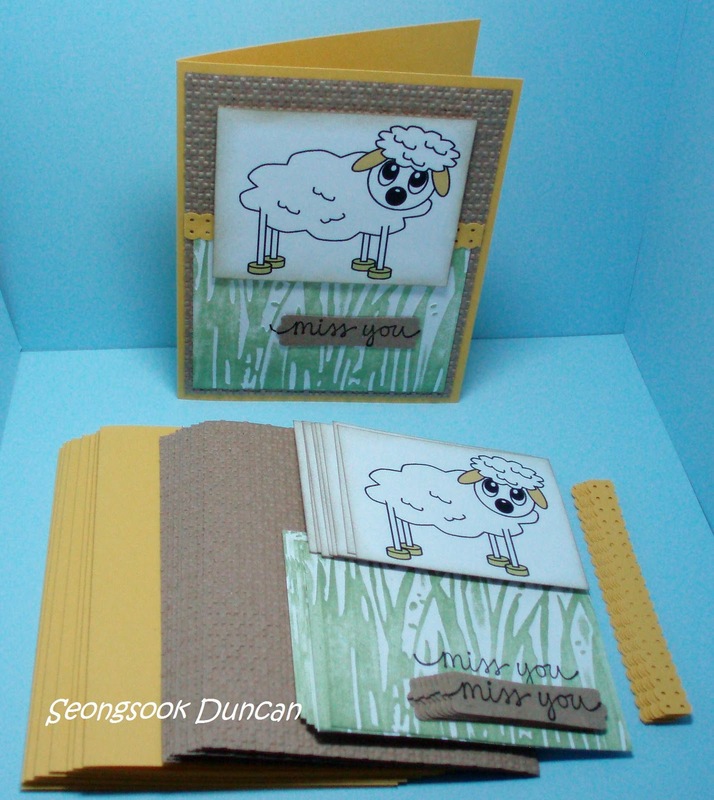 I made a couple of each card kits extra for my next OWH cards shipment.